Teaching kindergarten requires specific college courses. 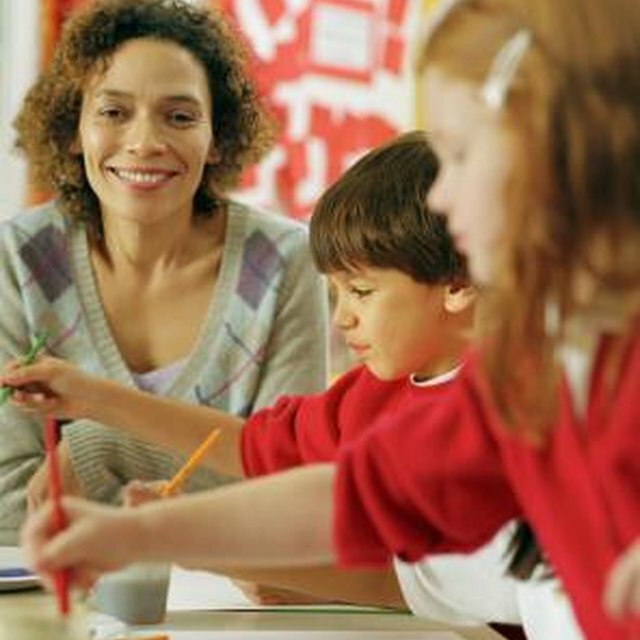 According to the U.S. Bureau of Labor Statistics (BLS), there were over 164,900 kindergarten teachers in 2011. The BLS notes that the need for kindergarten and elementary school teachers will grow by 17 percent through 2020. If you are considering joining the kindergarten educator workforce, a college degree is a must. Before going into the classroom to teach the youngest of grade school students, it's key to have a thorough understanding of child development. During an aspiring kindergarten teacher's college career, she likely will take classes that relate to both general and more specific areas of early childhood development. This includes content on all four developmental domains: cognitive, social, emotional and physical. These may also include child psychology courses. For example, the California University of Pennsylvania requires all undergraduates in the Pre-K through Grade 4 education program to take "Child Psychology Age 5-9." To effectively educate, an aspiring kindergarten teacher must take college courses in instructional techniques and learning. The specific instructional classes will vary depending on the college or university you attend, but will most likely include specialized classes on different content areas. Unlike secondary teachers who work in one main subject such as biology or math, kindergarten teachers must instruct kids in multiple areas and understand learning and instructional methods across different content types. For example, Nevada State College requires students in the elementary education program to take classes in literacy instruction, teaching elementary math, teaching elementary social studies and science instruction. The National Association for the Education of Young Children (NAEYC) notes in its position statement on "Responding to Linguistic and Cultural Diversity" that teachers should help to support diversity in the classroom and learn to understand different children's cultural identities. College for kindergarten teaching often includes classes on cultural diversity. This doesn't necessarily mean that you must take a course with the specific label "cultural diversity," but instead may have to choose from a menu of options such as anthropology or sociology. 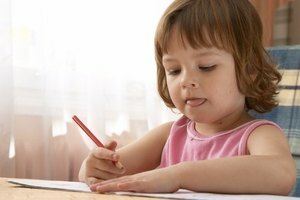 Although most kindergarten and elementary education college programs include an understandably fair share of teaching classes, there are also general classes to take. As part of an undergraduate curriculum, students must pass classes in general education requirements that everyone -- including students who are non-education majors -- must take. These may include college math, sciences, the arts and humanities, writing and literature or history. These classes are also known as core curriculum courses, depending on the college or program. Loop, Erica. "What Do You Have to Take in College to Be a Kindergarten Teacher?" 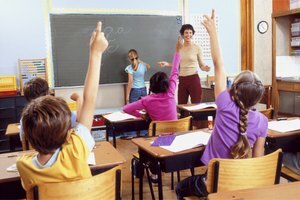 Synonym, https://classroom.synonym.com/college-kindergarten-teacher-1508.html. Accessed 18 April 2019.